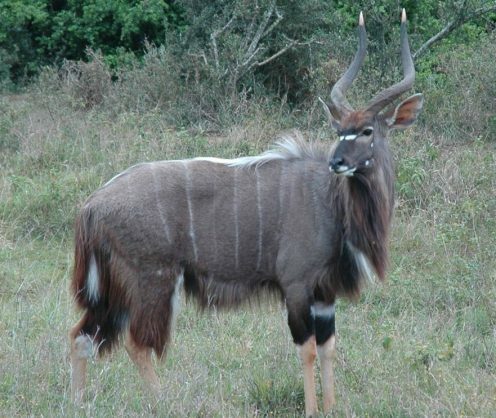 A male Nyala. Image: African Wildlife Detective website. 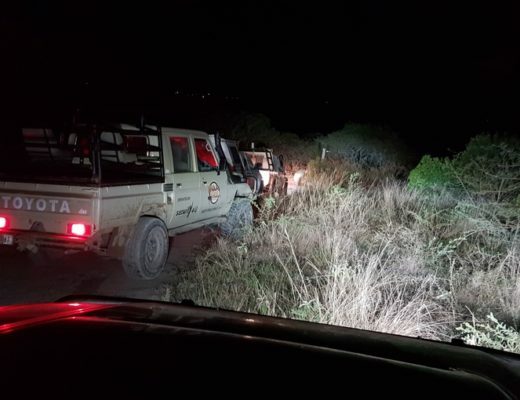 At the time, members of Thula Thula’s Anti-Poaching Unit (APU) were conducting foot patrols when they heard a gunshot at about 10.30pm. They proceeded in the direction from where the shot came, and heard a second gunshot and the herd of elephants trumpeting and running. After calling for backup and doing some tracking, APU came across the poachers who opened fire on them. Members returned fire, injuring one and killing another. The injured poacher was taken to Ngwelezana Hospital for treatment, where he is being kept under police guard. Tireless work by APU, Security4U, Rhino 9 Intelligence and Empangeni’s Task Team saw five more arrests being made yesterday afternoon. Two firearms and poaching equipment were recovered. All five suspects are facing charges of illegal poaching, and are due to appear in the Ngwelezana Regional Court in due course. Thula Thula owner, Françoise Malby-Anthony, said while the elephant herd had been traumatised by the incident, they were not injured. “The herd is fine. We monitored them yesterday. “While we regret the death of the poacher, the APU acted in self-defence. “Poaching is a crime and Thula Thula is now more than ever committed to spreading awareness and education about wildlife conservation within local communities,” she said.